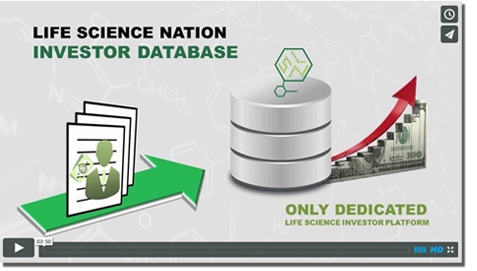 Life Science Nation’s investor platform and Pitchbook both offer various data on early-stage investors which get used by a variety of different stakeholders in the industry. Although there is some overlap in the data tracked by these platforms, there lies stark differences in how the data is sourced, updated, and the industry specific nature of the data. These core differences result in two different types of platforms that serve different purposes. Pitchbook’s utility lies mostly in providing a high-level overview of different markets/sectors whereas the value in the LSN platform is providing actionable, industry-specific data. 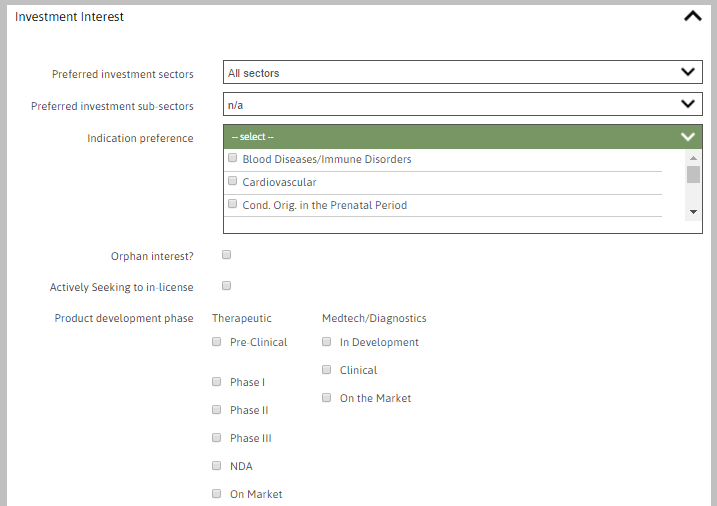 While Pitchbook and other data providers focus on the overall private market’s landscape, LSN investor platform is specifically focused on seed and venture-stage (series A, B) companies in the life science space which we define as therapeutics, medical devices, diagnostics, research tools and healthcare IT. LSN’s highly-specific focus has allowed for the development of a platform that captures the most critical data points for entrepreneurs seeking compatible investors. In addition, LSN’s expertise has led to a highly efficient search ontology capable of searching the space on a more specific level. LSN’s investor profiles are tagged in terms of Sector, Subsector, Indication, Product Phase-of-Development, Geographical exposure, investment size and several other variables that are of importance to a fundraising entrepreneur. Pitchbook obtains their information through web-crawlers and surveys. These methods have two main problems 1) primarily historical data 2) no reliable method for keeping data up-to-date. While this does provide their database with a great volume of data, it falls behind LSN’s platform in terms of depth. The LSN platform achieves great depth by supplementing the publicly available information with interviews performed by a dedicated team of research analysts that identify new capital sources allocating to early-stage life science companies, to parse out investment preferences. In addition to the depth of data this allows LSN’s team to gather, maintaining a personal relationship through an ongoing dialogue and involvement in the RESI conference series provides a direct benefit to LSN’s fundraising clients. This personal connection between the LSN research team and an investment firm/group allows LSN to capture and utilize a unique flow of information and provides an unmatched tool for fundraising CEOs to understand the players in their space, their nuanced preferences/strategies and a way to begin a dialogue with them. Pitchbook data is a tool that provides its users a way to take the pulse of a certain industry. Along with a way for entrepreneurs to quickly survey the investment landscape and identify relevant groups, a subscription to the LSN investor platform grants licensees a comprehensive onboarding meeting with the LSN team that covers best practices for using the platform, light marketing/messaging consultation, as well as some assistance in finding a few highly-targeted leads. These meetings also inform the LSN research team of exactly what our clients are working on, allowing them to tailor their surveys to better understand the investors’ interest level in current clients. Finally, all investor accounts are tagged with both a date and the analyst responsible for the account. Any entrepreneurs with questions or concerns around the profile or firm are encouraged to contact the analyst on the profile. The biggest differentiator among the LSN investor platform, Pitchbook and other similar data providers, and the biggest value driver, is the intertwined relationship between the LSN and the RESI conference series. The RESI conference is an early-stage investment/partnering event that allows entrepreneurs to meet face-to-face with up to 16 relevant investors in one day, and is powered by the LSN investor platform and LSN’s relationships with these groups. All data on an investment firm’s preferences are used to populate the investor’s profile in the RESI partnering system, allowing for a more effective match-making process. Using the LSN platform and RESI conference in parallel allows fundraising CEOs to identify a variety of capital sources in their space, begin a dialogue with these groups and continue to strengthen these relationships through in-person meetings at RESI conferences.